Arrival at Ahmadabad, Meet to Greet and continue drive to Dwarka, en-route visit Jamnagar Bala Hanuman Temple - Bala Hanuman Temple is a pilgrim place venerated by the devotees of Lord Ram. It is a world famous temple, known for the continuous chanting of Jai Ram, Shri Ram. The chanting is going on since 1964 and has found a place for it in the Guinness Book of World Records. People chant the name of the Lord in shifts, 24 hours a day. Later Proceed to Dwarka and attend Evening Aarti Darshan at Dwarkadhish Temple - Temple of Lord Krishna. Overnight stay at Dwarka. Attend early morning Aarti at Dwarkadhish temple. Have breakfast & thereafter visit Bet Dwarka & Nageshwar Jyotirling. 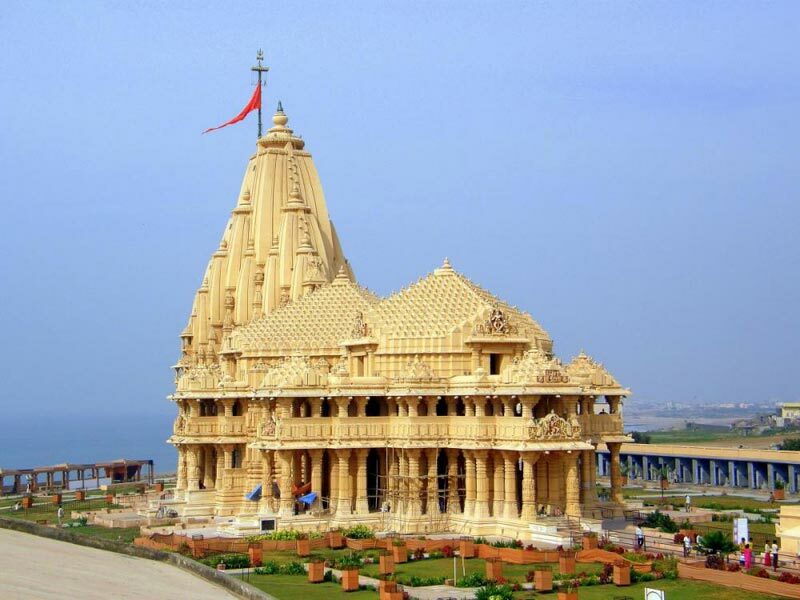 Bet Dwarka - Also known as Bet Shankhoddar, Bet Dwarka is only 5 kms from Okha Junction in sea and Okha is 30 kms from Dwarka. It is said to be the place where Lord Krishna lived with his family when the ruled at Dwarka. It is also the place where Vishnu slew the demon Shankhasura. Visitors make it a point to visit the Krishna temple at this site which holds much of interest to be seen and experienced. Nageswar Mahadev - The Puranas mention 12 Jyotirlingas or columns of light representing Lord Shiva, who manifested himself in that form in different parts of India. This shiva shrine near Dwarka is one of these and is there- fore accorded great respect. Rukmani Temple - Temple of Lord Krihsna’s wife. Overnight stay at Dwarka. Morning proceed to Porbandar(130 Kms) visit of Kirti temple known as house & born place of Mahatma Gandhi. In back side house of Kasturba wife of Gandhi. Also visit of Gandhi museum, study room of Mahatma Gandhi in the Kirti temple. Later visit of Sudama temple & continue proceed to Somnath, evening Aarti Darshan at Somnath Temple - A lord Shiva temple known as Jyotirling built by Moon God. Enjoy lighting and sounding Show. Overnight stay at Somnath. Morning proceed for Ahmedabad. Enroute visit Junagadh, visit of UPERKOT FORT, is an ancient fort built by Chandr Gupta. The fort as been rebuilt & extended many times. Later visit of Ashokan Edicts,Mahabat Maqbara. The Ashoka’s Rock edict is on way of Girnar hill temple. The rock engraved with the Buddhist edicts of Ashoka. The edicts impart moral instruction on dharma, harmony,tolerance and peace. Continue drive to Ahmadabad & transfer to airport / railway station for onward journey. 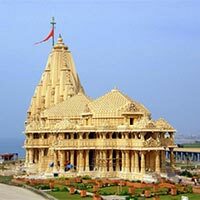 Bet Dwarka - Also known as Bet Shankhoddar, Bet Dwarka is only 5 kms from Okha Junction in sea and Okha is 30 kms from Dwarka. It is said to be the place where Lord Krishna lived with his family when the ruled at Dwarka. It is also the place where Vishnu slew the demon Shankhasura. Visitors make it a point to visit the Krishna temple at this site which holds much of interest to be seen and experienced.